Gorgeous solo dress from dressmaker Suzy West! This lovely dress has a dropped waist and is made of a creamy white brocade and a unique ribbon trimmed skirt. 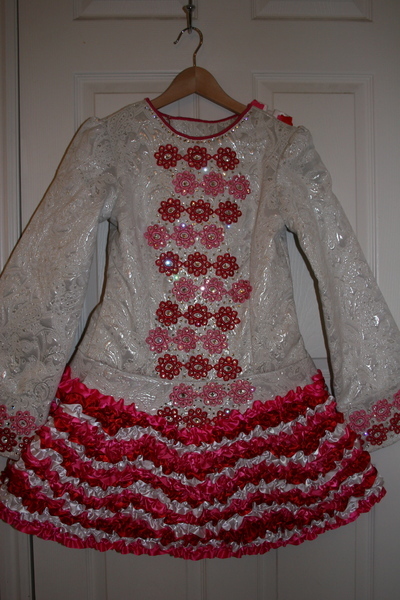 Skirt colors are red, fuchsia and white. 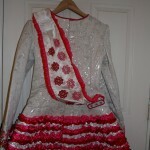 It has lots of Swarovski crystals and lovely floral accents. 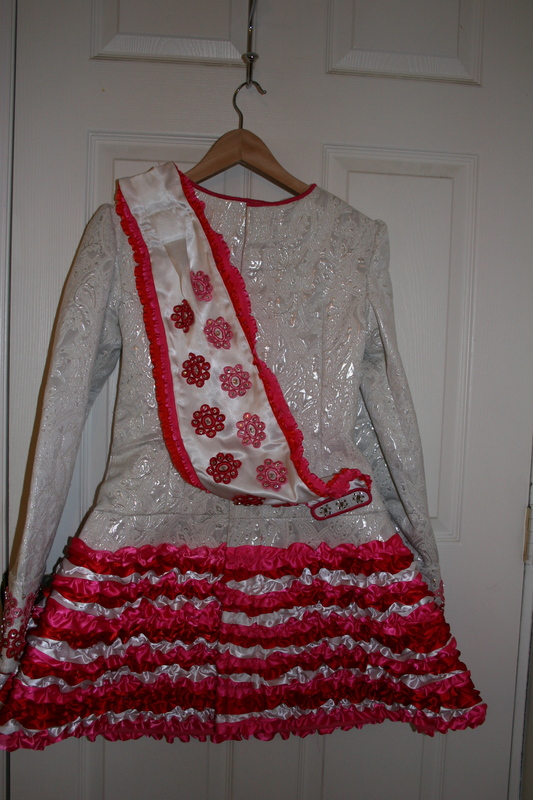 This dress was made in 2011 and is in excellent used condition. It has only been worn 5-6 times and always with dress shields. There are no stains, smells, tears or visible signs of wear whatsoever. I dare say there’s not a stray thread or missing stone to speak of. This dress was owned by me (an adult) and was extremely well cared for during the year I’ve had it. Matching custom made headband is included. 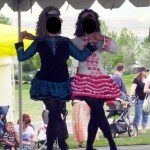 NOTE: Because of the style of the skirt, the dressmaker had to use extra wide Velcro instead of a zipper down the back. I was going to have a zipper but in, down the back to the top of the skirt, but have now quit dancing and will let you decide your preference. 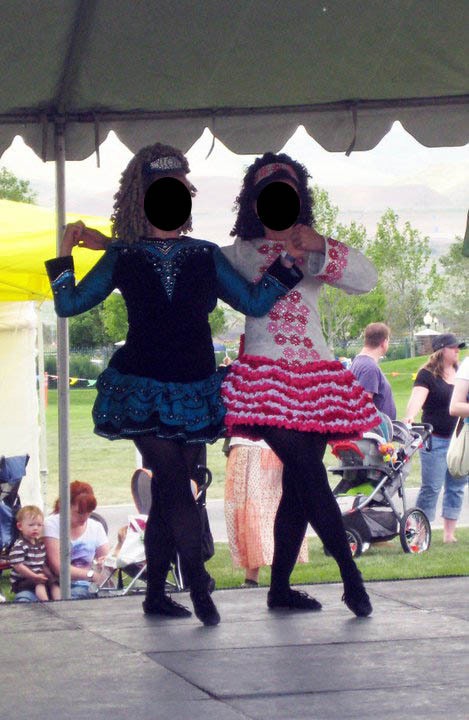 There are several inches of fabric that could be let out at the sides of the bodice and also let down for the skirt. Asking Price: $US500.00. Shipping costs are included for my own country, overseas shipping is extra. Returns are negotiable.